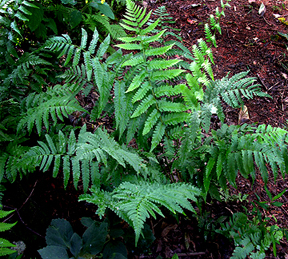 Largest of the Native Wood Ferns. Graceful arching fronds may reach 4' in ideal conditions. Spreads slowly by rhizomes. Mass plantings are outstanding in the shade garden.